Discussion in 'Hardware Discussion & Support' started by IvanV, Nov 18, 2018. I'm looking for a new affordable keyboard, but I'm really having troubles picking out one because there is a ton of models and very little word about most of them. I would like to pass on the mechanical ones, because of both the price and the noise, so I guess it's a decent rubber dome keyboard that I'm looking for. As for the special features, it needs to be backlit, solely for improved visibility in the dark, so it doesn't have to be RGB or have any special effects, and I also want one with the num pad. Anything beyond that is a nice to have, but not necessary. Any ideas? I've come across Azio L70, which gets recommendations for the feel and performance, but many people are complaining that the key caps start flaking after just a few months and in time the keys become unreadable. Also, CoolerMaster Devastator 2 and 3 have caught my eye with some kind of hybrid key design that mimics mechanical keys but, while many praise them, many also dislike them and say that they'd rather use normal rubber dome keyboards and apparently they are almost as loud as MX Blue switches (although apparently the Devastator 3 ditched the "mem-chanical" keys, yet managed to remain noisy). EDIT: I've just noticed, 10,000 posts. Calliers, Dyre Straits, Trusteft and 1 other person like this. You can get mechanical keyboards that don't make noise. For example ones with Cherry MX Brown switches. I am also looking for an affordable keyboard though not just because of cost, but also because I actually feel the need to use non mechanical slimmer keyboards. Not sure why. The one I am planning to get soon is the Natec Medusa 2. Slim, non mechanical and my favorite type of Return key. I am going to go for the white one. I was thinking about browns and it's true that they don't have the click, yet they still make quite a bit of rattle as the keys hit the bottom of the board. Maybe I would make less noise while typing because it's not necessary to actually press the keys all the way (the keys can travel 4mm and the switch activates already at 2), but the way people demonstrate them on YouTube, there's quite a bit of banging going on. I always thought that it was okay, but nothing more than that, but my girlfriend likes it a lot, especially compared to what she has at work (some bottom of the pile "regular" keyboard that must be really horrible). Maybe I should have said cheap, although that is also relative. I'm mostly looking for something around the 30€ mark. I'd be perfectly happy to pay less and I'm also prepared to pay a bit more (say 10-15€), but above 50 it's probably too much. If you want total silence there is one switch you might like, the MX Pink (classified as the Silent Red). Filco is the only brand that I've seen that has them though. You could also do what I did, and pick up a set of dampening o-rings. I picked up a set of 40A-R (soft), 0.4mm rings (blue color). Not only do they greatly reduce the bottoming out noise, but they help with finger fatigue. Edit: These are the ones I got. Thanks, Tipstaff. I'm not sure I can source that keyboard locally, but the O rings might be the way to go, if I decide to splurge a bit more than I intended. Having said that, I am thinking about biting the bullet and going for the Cooler Master CK550 with brown Gateron switches. Both the switches and the keyboard seem to be receiving a lot of praise online and apparently I can get it for 60€, which is starting to tempt me. Don't wet it! 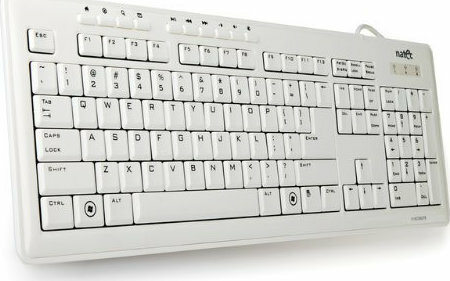 I had one for 3 years, (mx blue), a tiny amount of tea fell into the bottom left side, dead keyboard. I loved it while it was working and I don't blame CM for it, just be very careful. I do like my new keyboard....and still getting use to how easily and quickly the keys function! Trusteft and IvanV like this.